In my Enchanted Bookstore Legends, basic magic ability is inherited. Opening an enchanted book, Adalyra McCauley confronts a series of quests where she is expected to save Dragonspeir from destruction by the Black Dragon. Even though she is one of the five Scribes in all of Dragonspeir’s history and has inherited vast powers, she needs more than that to survive the dangers she faces. 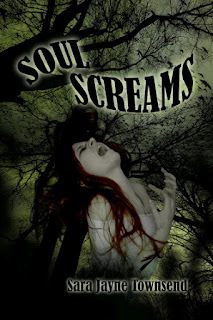 Lyra accepts the challenges because Cullen, the wizard she loves, will perish if evil wins. After her first victory, she is set back, realizing Dragonspeir magic may have caused the death of her dear aunt. She resolves to learn the truth and accepts the Imperial Dragon’s appointment into the Alliance sorcery training. Additionally, becoming proficient in magic craft is the only way Lyra can bridge the gap between her mortal human world and Cullen’s. He is her only family now; she cannot lose him. 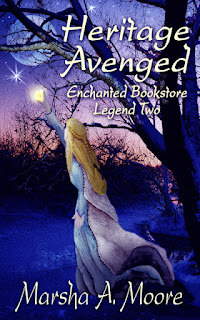 Although assisted by Cullen and magical animal guides, ultimately Lyra must use her own power to complete the next quest in this second book, Heritage Avenged. She gains additional energy to access her inherited power from the stars, magnetics within the Earth, and from special forces contained in certain gemstones. I’ll briefly give some examples of how those magical gems are used historically and in my Legends. Moonstone and Onyx Moonstone has been called a visionary stone by some, moonstone brings inspiration, strengthens intuition and sensitivity, enhances creativity, allows the wearer to see situations from different angles, and helps one to see things more clearly. It has even been said that moonstone has the power to grant wishes. Onyx is generally believed to help with objective thinking and spiritual inspiration, which helps the wearer move beyond bad relationships and old hurts. In Heritage Avenged, a large rainbow moonstone is used as the focal point of an instrument which interprets information hidden in the stars. It is the focal rondure of the Spheres of Sidus. That device helps answer a chosen question from the reader’s past. Three onyx balls are positioned according to current positions of the birth stars of specific ancestors. The onyx balls of the Spheres of Sidus relate to past relationships. When, at last, the moonstone rondure is placed and given sufficient power, it conjures an answer in the form of a hologram-like image. Ruby has energy that is intense and vivid, helping you see your own strength. It is said that the power of Ruby will encourage you to follow your dreams and bliss, to change your world. It encourages leadership and increased concentration, with sharpness of intellect. In Heritage Avenged, Lyra is drawn to a ruby displayed by the Dark Alchemist, Tarom. She is born under the Aries fire sign and cannot resist the powers of the fiery ruby. He knows this and tempts her with a taste of what the ruby’s energy can do to multiple her own powers, eliciting dark qualities of greed to pull her off her path of what is noble and good. In the previous legend, Lyra was given a gift from each of the four Guardians—the Phoenix, the Tortoise, the Imperial Dragon, and the Unicorn—who are the four Chinese sacred animals that balance all of creation through their influences on the elements of fire, water, air, and earth, respectively. The Unicorn’s gift to Lyra was a scrying stone of heliodor. The golden hue of the stone he matched to the unique color of her visible scribal aura. An aura is an extension of power from the soul of a magical being, which can expand and surround their entire body. To use her heliodor, Lyra concentrates on one single question about a future event. The stone answers with an image she must decipher. Faced with dangerous situations, she’s glad for any guidance, even if cryptic. Jade has long been revered as a symbol of love. In ancient China a prospective bride would present her betrothed a jade butterfly to seal their engagement. Likewise the bridegroom would give his sweetheart a gift of jade before their wedding. This gem is considered one of the most important symbols of purity and serenity. In my Legends, once love grew between Lyra and Cullen, it was visibly connected through a gift of lovers’ paired jadestones. Only one set of these powerful stones exists in Dragonspeir. The gems are mounted into two ornate brooches, a male and female setting. The two call to each other and bond Lyra and Cullen’s magic, enabling them to locate each other and use their combined magical powers as one extremely strong unit. This proves invaluable in many dangerous situations. As their love deepens in Heritage Avenged, the gems have more uses, being able to store large quantities of energy. In one horrific moment, Lyra’s jadestone is stolen from her, just when she is depending on it to save Cullen’s life. She struggles to get it back, and when she does, she is rewarded with answers to many of her deepest questions. It’s no wonder that a necklace of jet was created for the first Scribe to protect her from being mentally possessed by evil forces of the Dark Realm in Dragonspeir. After the Black Dragon first trajected his magic through Lyra in the first book, Seeking a Scribe, Cullen gave her that ancient necklace and initiated its magic once again. In Heritage Avenged, Lyra discovers that jet necklace absorbs and protects her from dark powers shot at her by the Imperial Alchemist and Lord of the Tempestas. A mysterious benefactor sent Lyra a gift of a rare opal invisibility ring at just the right moment at the end of the first book. During Heritage Avenged, a man steals this ring from Lyra along with her jadestone. However, in this case, the joke is on the thief since the gem will only unlock its magic for females. Amethyst and Iolite Amethyst can be used to increase psychic awareness, to sharpen the 'sixth sense.' Similarly, iolite stimulates the wearer’s spiritual awareness, guide him/her to a higher awareness, and awakens inner knowledge. Iolite helps its owner to open the door to the knowledge of the Universe. Both of these purple gems are worn by several magical residents of Dragonspeir who don’t align their support with either the Dark Realm of the Black Dragon or the Alliance of the Imperial Dragon. Colors are worn to display allegiance, red for the Dark Realm and blue for the Alliance. Purple, an intermediate color, indicates these individuals stand apart. Included in this group are the alchemists for both realms, as well as many of the magical nomadic tribal peoples who are sky readers. These renegades pose as much threat for Lyra as the Dark Realm, pursuing her for her unique scribal aura. I’ve always enjoyed the legends and lore of gemstones. Their mystical qualities added another layer of magic to my Legends. 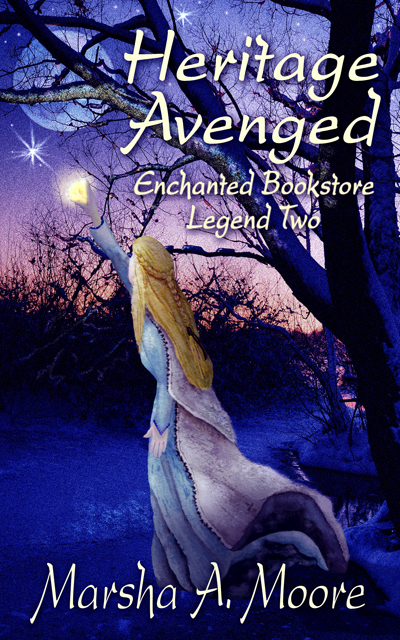 To see these amazing stones in action, read Heritage Avenged: Enchanted Bookstore Legend Two. Lyra McCauley receives an alarming letter from the coroner who evaluated her deceased aunt, originally thought to have died of cancer. The news causes Lyra to take leave from her job and travel from sunny Tampa to the frozen island community in northern Michigan. Questioning whether Dragonspeir magic was responsible for her aunt’s death, she resolves to learn the truth and accepts the Imperial Dragon’s appointment into the Alliance sorcery training. Additionally, becoming proficient in magic craft is the only way she can bridge the gap between her mortal human world and her lover’s. Cullen, a 220-year-old wizard, is dependent upon his Dragonspeir magic for immortality. He is her only family now; she cannot lose him. Evil forces block her and try to steal her inherited scribal aura. Riding a stealth dragon, a cloaked rider pursues Lyra. Both the Alliance and Dark Realm alchemists lay tricks and traps. Her aura equals that of the first and most powerful Scribe, but will Lyra’s novice training allow her to discover the truth? Will she be able to be with Cullen, or will the Dark Realm keep them apart? Lyra worried about Cullen on his flight home. Despite the fact he was over two hundred years old, it was only his second plane trip. The few wizards of Dragonspeir who visited the real world seldom traveled far, and then not conventionally. He kept her safe in his world last summer. She intended to keep him safe in hers. “Next!” the heavyset postmistress belted out. She sighed and maneuvered to the clerk at the far end of the counter. If only they could live together in one world. She needed to learn more magic first and hoped to make a start in a few weeks, when she took her winter break from teaching to attend his Solstice Festival. Unfortunately, her formal lessons would have to wait until next summer. “Adalyra McCauley. Just since the day before Thanksgiving.” She fumbled in her purse and pulled the driver’s license from her billfold. The women sighed, slid off her stool, and shuffled into a back room. A few minutes later, she lumbered back, carrying a small stack of letters, glossy ads, and magazines. She scooted the mail across the counter. Lyra stuffed it all into a tote bag, then scurried to her silver Subaru sport wagon and tossed it into the passenger seat. Driving Cullen to the Tampa International airport and this stop barely left enough time to make it to the university in time to teach her ten o’clock class. But the memory of those lingering goodbye kisses made it worth the consequences. She stopped for a red light at a twelve-lane interchange, tapping the wheel impatiently. The edges of the mail peeked out of the sack, tempting her. She pulled it into her lap and riffled through the letters. The usual bills. The signal remained red. Thumbing quickly through familiar envelopes, one unusual return address caught her eye, William T. Betts, M.D., Washaw, Michigan—the island village location of Aunt Jean’s cottage on Lake Huron. Although addressed to Lyra, it had been sent to where her aunt lived prior to passing away. She couldn’t place his name as one of Jean’s doctors. Multiple postmarks revealed a path of forwarding, the oldest dated last August, a few weeks after the funeral. She checked the traffic light—still red. She ripped open the envelope and yanked out the letter. I am writing this correspondence in my capacity of Birch County coroner. Please accept my condolences for the recent loss of your aunt, Jean Perkins. Prior to delivery of her remains to the Michigan State crematorium, her attending physician, Dr. Everett Schultz, requested an autopsy. Dr. Schultz and I wish to meet with you to discuss my findings at your earliest convenience. A horn honked from behind and jolted Lyra into a panic. Her limbs froze and her eyes returned for another glimpse of the letter. She wildly scanned the page, searching for additional information. Aunt Jean had died of cancer. What more could they tell her than that? At the time of Jean’s death, the abrupt change in her symptoms puzzled Lyra and made her question the visiting nurse. Hours before, her aunt’s mind had been lucid. Her eyes were clear and her breathing soft and steady, not a raspy death rattle. Now those initial concerns seemed grounded. The driver behind her laid on the horn. The noise jarred Lyra to the present. She exhaled an arrested breath. To brace her shaking arms, her free hand clamped the steering wheel. Unable to coordinate, her foot slid off the clutch and stalled the car. A chorus of horns blared. After fumbling with the ignition, she restarted and herded her Subaru into the stream of traffic. She locked her eyes squarely ahead to avoid angry road-rage stares from passing motorists. One car pulled alongside and tooted. Her eyes shifted onto the driver who flipped her off before speeding away. Shaking, she gave up rushing to be on time. Keeping her car safely on the road was challenge enough. She hung back to allow other cars to pass. Plodding in the slow lane, her thoughts drifted to the letter. What had the coroner found? In September, the funeral home wrote, indicating they stored her aunt’s ashes, as Lyra directed, until she returned to collect them. The director never mentioned any question about the cause of death. Lyra shifted before engaging the clutch. Grinding gears vibrated the car. White-knuckling the wheel, she gratefully turned at the sign for Southern University. Finally in her assigned parking spot, she slumped into the seat. Before getting out, she reread the letter to search for clues between the phrases. She found none, but the words “earliest convenience” loomed. The doctor wrote the letter three months ago. Would that lost time make a difference? Was it possible someone harmed Jean? Hundreds in the village visited the funeral and expressed sorrow. What about that strange man, Revelin? He came to Jean’s home, supposedly working as an aide from the home care division of the local clinic. He acted suspicious, trying to read Lyra’s computer screen, open to her draft of the new version of the Book of Dragonspeir. Maybe a person from Dragonspeir? A few supporters of the evil Black Dragon could enter her world. But who? His alchemist, Tarom, possessed enough power and talent. A chill ran down her spine, thinking of his glowing red eyes and crimson cloak with moving tentacles at its hem. She sighed. No obvious evidence linked either man. Sun rays reflected light through her windshield from the modern glass and concrete English building. This alerted her to pull herself together and go inside. After sucking in a deep breath to steady her nerves, she opened the car door and stepped out. Her legs shook under her weight. Her shoulders sagged under the load of the briefcase and bags. With an awkward gait, she ambled toward her building. She stopped cold. Students raced around her to make their classes. What about Eburscon? Alchemist for the Imperial Dragon’s Alliance. She clenched a fist, recalling his haughty, antagonistic manner. He openly disapproved of Lyra’s influence on anyone in Dragonspeir. Opening a side door off the parking lot, she checked her watch. Five minutes past the start of class time. She braced herself, rearranged her bags, and climbed two flights—a short cut to the classroom which avoided the department offices. Three minutes later, she arrived in the room, out-of-breath and shaking, in no shape to teach. But, the chairman kept careful tabs on all his non-tenured professors, including Lyra. Thankfully, the lesson was an easy one, reviewing short story reading assignments. The students in her American Lit course, just returned from a long Thanksgiving weekend, didn’t want to hear a rigorous talk about Emerson and Thoreau. Most eyed her with groggy stares, heads propped on elbows. A handful of alert and prepared students vied to contribute, snapping out responses to Lyra’s discussion questions. Usually she enjoyed pitting them against each other, but today she merely appreciated their participation. Her mind wandered two thousand miles away. She watched the clock, counting the minutes until she could talk with Cullen during his layover in Detroit. 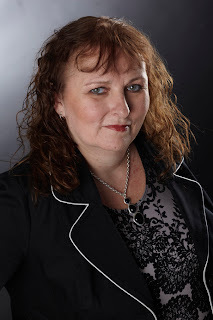 Marsha A. Moore is a writer of fantasy romance. The magic of art and nature spark life into her writing. Her creativity also spills into watercolor painting and drawing. After a move from Toledo to Tampa in 2008, she’s happily transforming into a Floridian, in love with the outdoors. Crazy about cycling, she usually passes the 1,000 mile mark yearly. She is learning kayaking and already addicted. 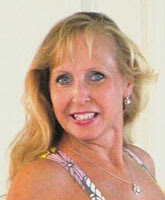 She’s been a yoga enthusiast for over a decade and that spiritual quest helps her explore the mystical side of fantasy. She never has enough days spent at the beach, usually scribbling away at new stories with toes wiggling in the sand. Every day at the beach is magical! It's great to be here today! Thanks lots, Pam. Hope you're having a good birthday. Awesome excerpt. And the blogpost speaks of much thought and research. How cool. Thanks for stopping in, Cherie! I enjoyed the excerpt. And the information you've shared with us about stones and their values is wonderful. I have many balls of different stones Calcite, adventuretine, labradorite, selenite,Onyx and Cateye.I believe in the power of stones to heal. I love them all. I often use my crystal balls to meditate with. particularly the calcite one. I enjoyed the blog very much. And found the way you used the stones in the stories to be imaginative. Teresa, I can certainly imagine how letting your eyes and mind float along the internal and external patterns of the gems would aide meditation. Thank you for sharing.